The press is currently full of stories about schools full to capacity and a shortage of school places especially at primary level in urban areas. Even Suffolk is not immune to this with, for example, shortages of primary school places in Brandon highlighted recently. Given the situation common sense would suggest that available resources, especially in a time of austerity, were targeted to areas of need in order to build additional capacity. However this does not actually seem to be the case as the example of Saxmundham Free School shows. Saxmundham, Free School opened on the site of the former Saxmundham Middle School which had capacity for 344 children. Initially it was planned to open the school with three year groups of up to 108 children (a total of 324) but these initial numbers were changed to 3 year groups of 72 (a total of 216). In fact the school opened with only 106 children and there are reports it has even less now. If the school took five year groups with the same average number of pupils per year group as it had when it opened there would be 176 children, considerably fewer than the current capacity of 344. However Saxmundham Free School are currently applying for planning permission to build an extension on the school building in order to provide capacity for up to 540 children (5 year groups at the originally intended 108 per year). 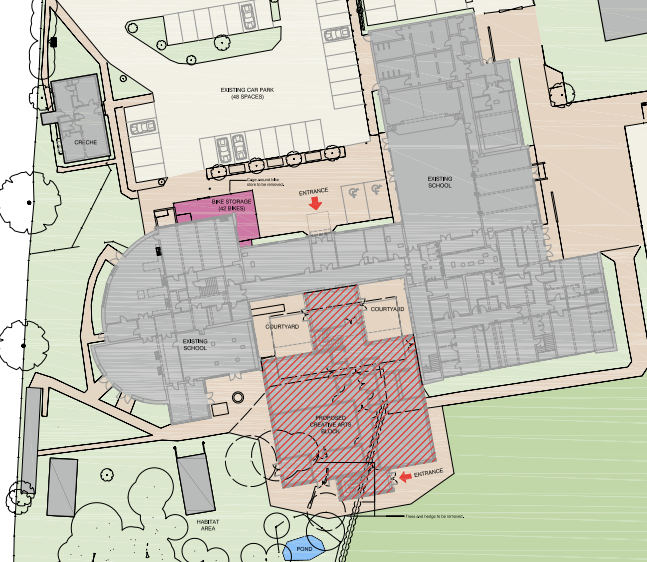 You can see the planning application on Suffolk Coastal’s website with a huge number of detailed drawings and other documents. The production of just the plans and planning costs must already be into the 10s of thousands of pounds. The Seckford Foundation recently refused to answer a freedom of information request that asked for the costs of this work but it is clear to run into millions of pounds. There is a need for additional secondary school places and improved teaching facilities in the area. This statement is not substantiated in any way, quite probably because it is simply untrue. Alde Valley School (the former Leiston High) already provides enough capacity for all of the secondary age pupils in the area and as current numbers show there is just not the demand never mind the need for places in Saxmundham. The whole policy seems premised on bizarre supply side economics that believes "if you build it they will come". This might work in a big city but the essential problem in Saxmundham is there just aren’t enough children living locally to make the school viable. Even if Saxmundham did fill 540 places, something that looks incredibly unlikely, it would only do so by leaving Alde Valley half empty.